Born Montreal, Quebec, November 2 1965. Background Bissonnette is an autodidact at the school of Alfred Hitchcock, Gus Van Sant and Richard Linklater. He studied English and film at Concordia University and read law at Queen’s University. His career thus far has featured a series of independent films that have made him a film festival favourite. The fact that he is not a household name is more a comment on the failing status of independent cinema and the art house around the globe than his inimitable and appealing style. He is also the author of the novel Smash Your Head On The Punk Rock, which was released in 2008. What’s he up to now? His new film Passenger Side is a follow-up to his excellent first two movies, Looking for Leonard and Who Loves the Sun, and continue his interest in sibling rivalry. 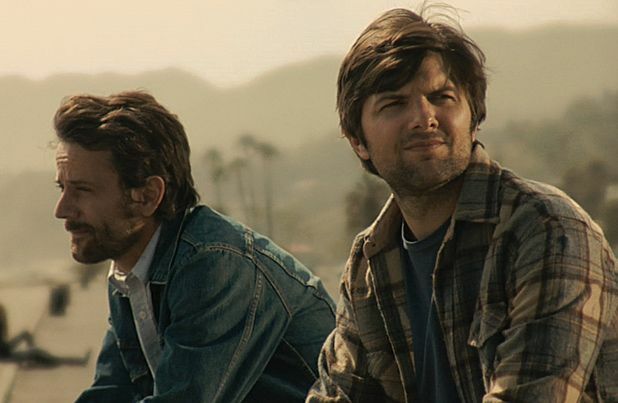 A road movie in which all the action takes place in LA (where Bissonnette now lives), it stars Adam Scott and the director’s real life brother Joel Bissonnette as brothers who have trouble communicating without arguing. He has also completed the first two installments of his video project Your Home Movies, entitled Nowhere Man and Long May You Run. On road trips ‘I love them – my dream is to one day drive a bitchin’ Camaro from LA to the Bahamas. I mostly drive around with my four-year-old son these days, and he will only listen to Stiff Little Fingers, Big Country and Fucked Up, which can get a bit tired the four-thousandth time round, but certainly beats Raffi or Gaga. Interesting Fact Bissonnette has claimed that, in terms of literature, Henry Miller's Tropic of Cancer has been the biggest single influence on his life, while musically his touchstone is The Band’s Music From Big Pink. Passenger Side is at Grosvenor, Glasgow from Friday 1 April.